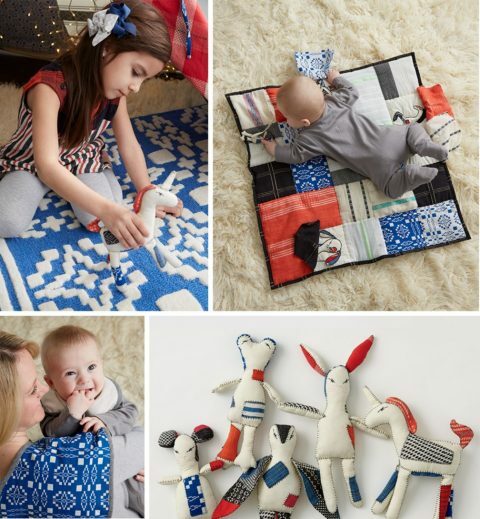 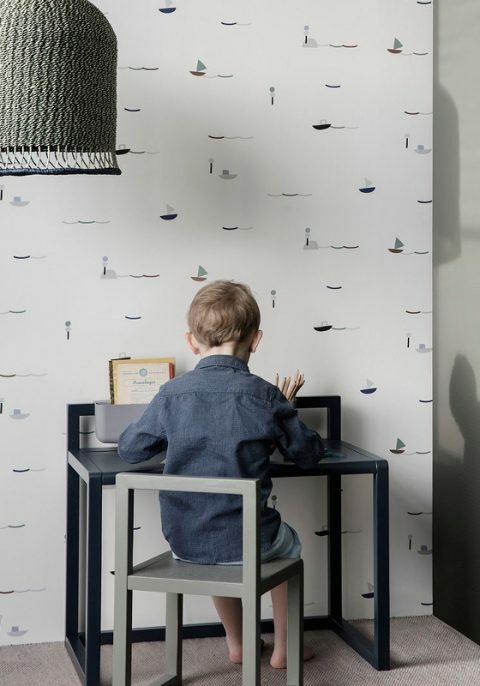 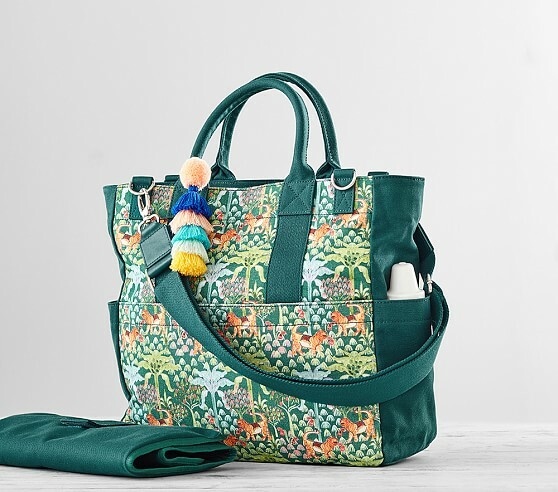 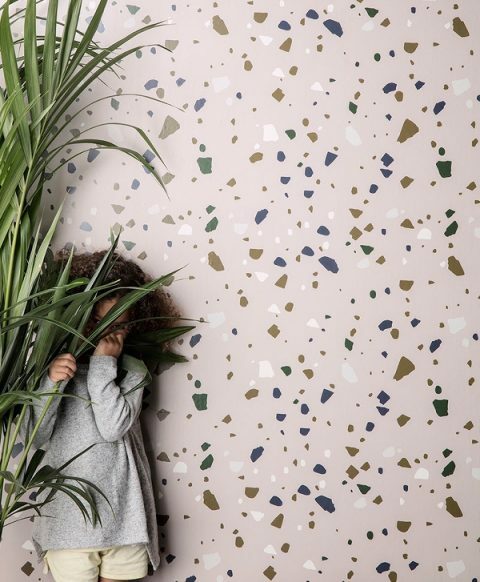 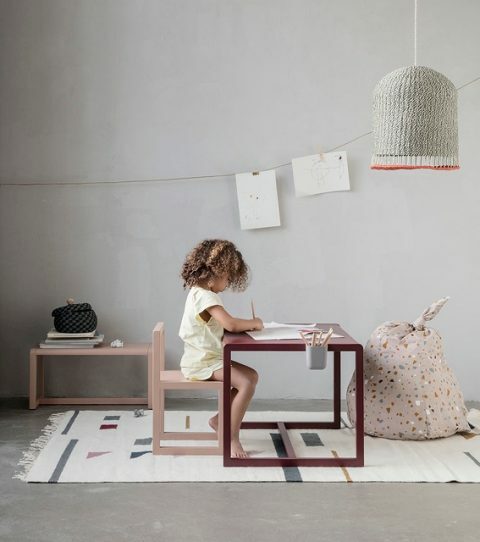 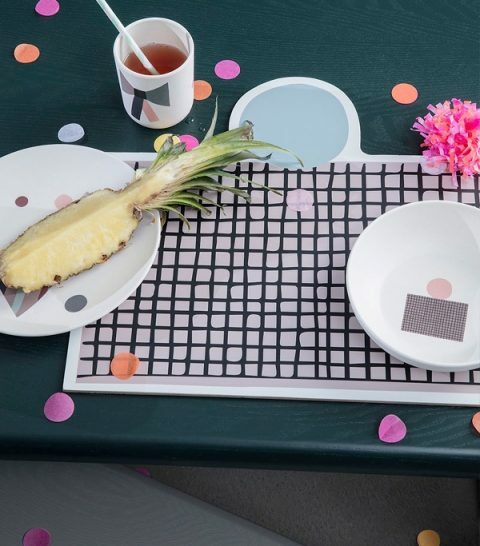 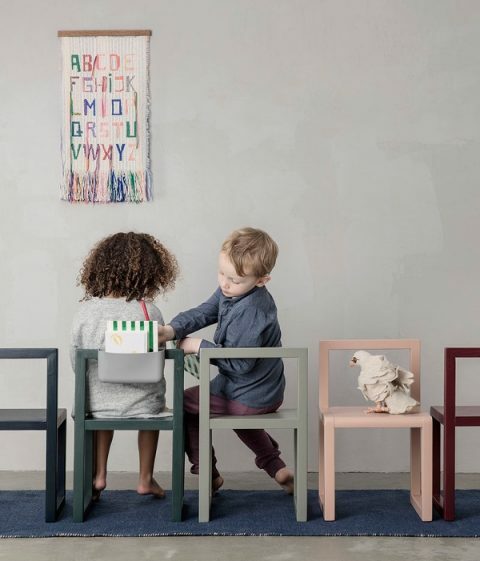 The Land of Nod just debuted a new LIMITED EDITION collection with Ace & Jig, who are well-known for their clothing line featuring yarn-dye woven textiles from India. 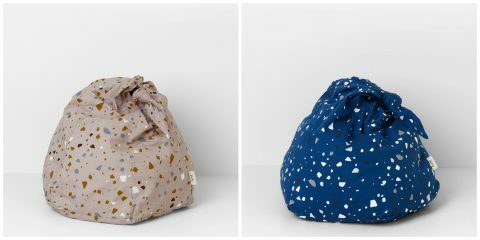 You’re going to have to shop these pieces quickly because once they’re sold, they’re gone for good. 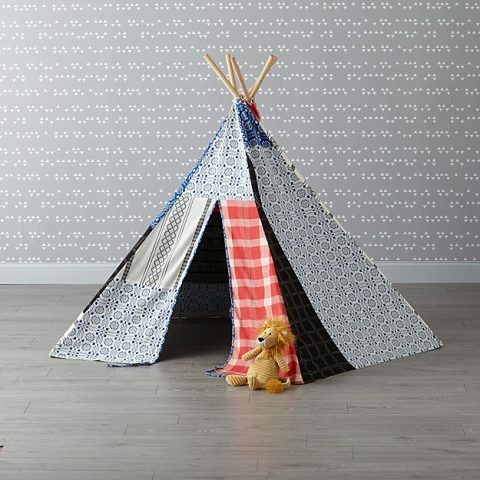 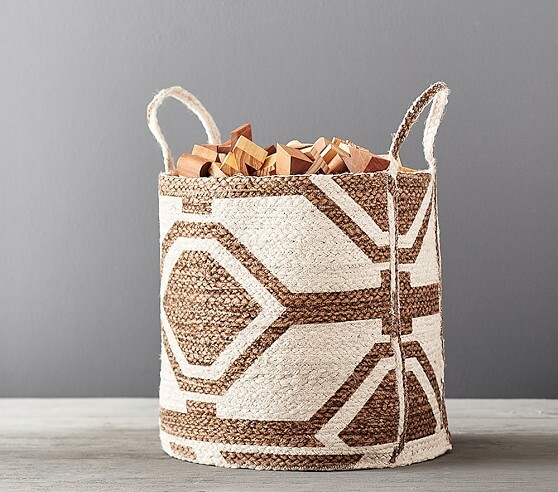 Shop The Land of Nod today to access these beautiful artisan pieces. 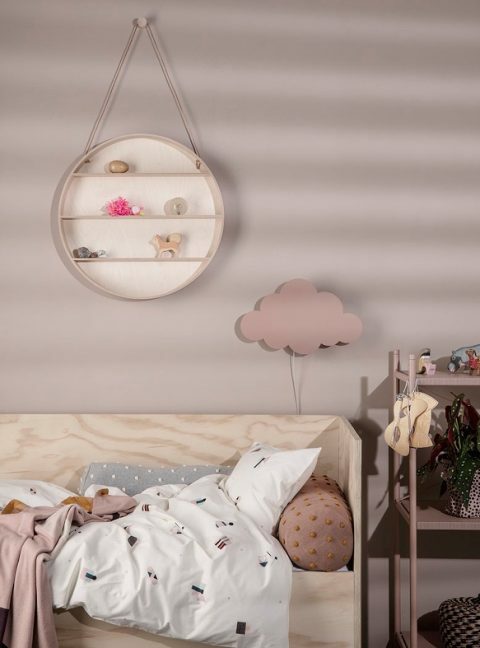 Carousel Designs has been selling a huge variety of crib bedding designs for many years now, and while their designs tend to be more frilly and traditional, you can always find some modern, clean lined options in the bunch or design your own combination. 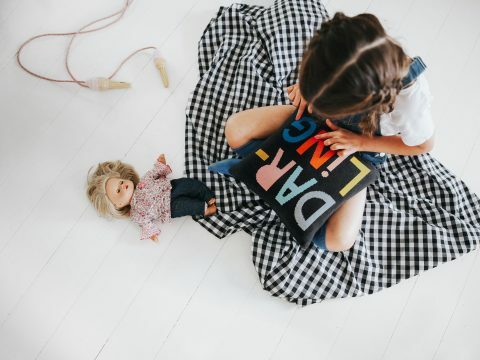 My girls at Project Nursery created their own special exclusive bedding collections with Carousel Designs and you KNOW these hit the mark! 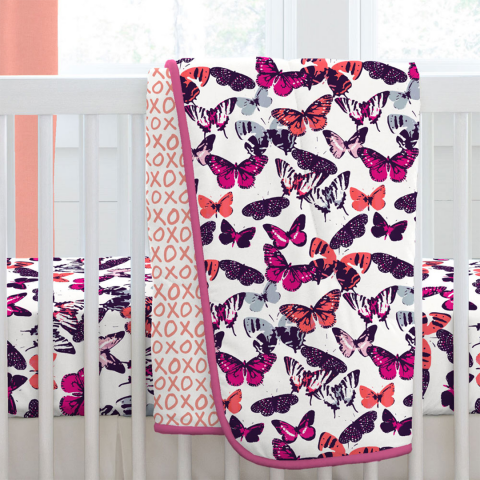 The bright and bold PN Butterfly Kisses collection includes a wide variety of pieces like the crib sheet and comforter shown below, but you can also add a changing cover, throw pillow, crib skirt, rail cover and crib blanket in whatever combination you like. 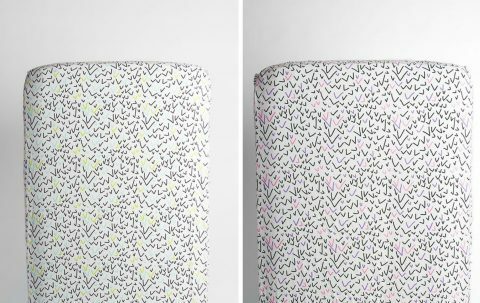 The PN Climb Every Mountain collection comes in two color combinations– pink (shown) and blue (with lots of gray). 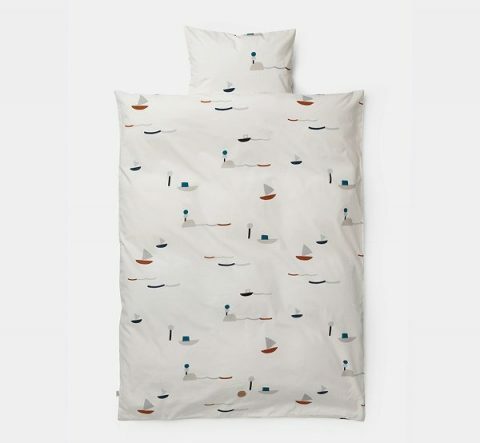 Mix and match all the bedding items you need with these as well. 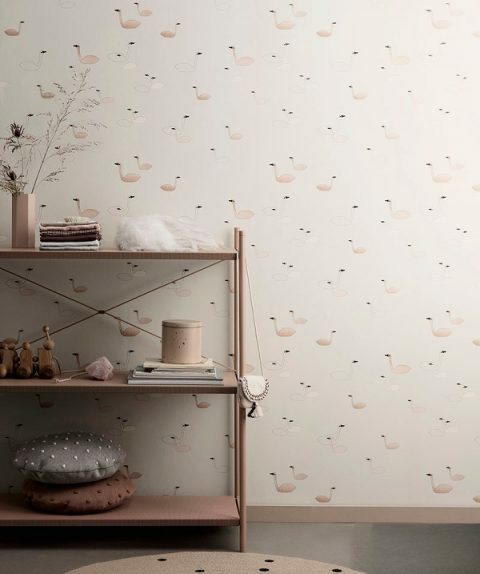 The PN Woodland Foliage Collection also comes in two colorways– pink (shown) and blue. 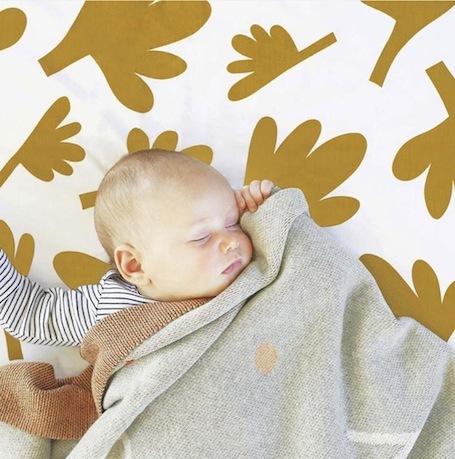 You can select a crib sheet, changing pad cover as well as a throw pillow. 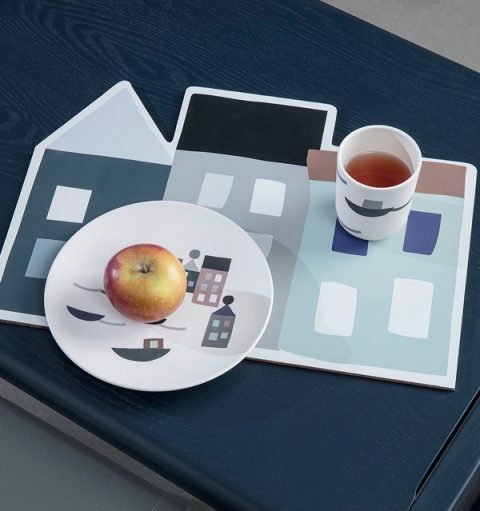 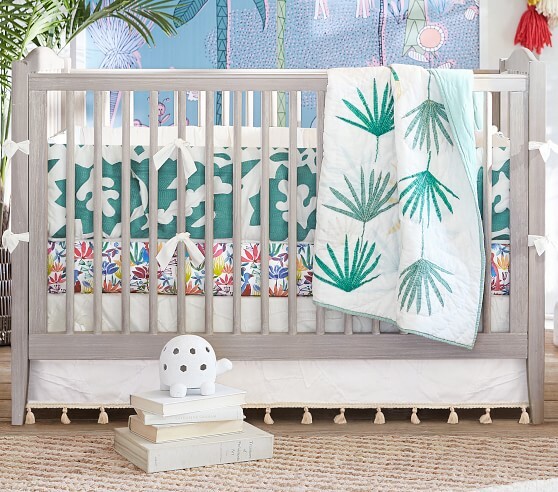 The most unique of all the pieces in the collaboration is the PN Watercolor Dreams crib sheet. 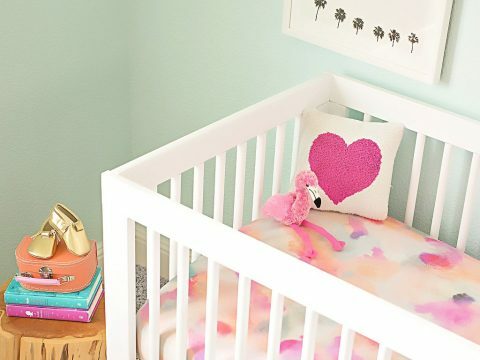 This colorful pink sheet will be the focal point of your modern nursery. 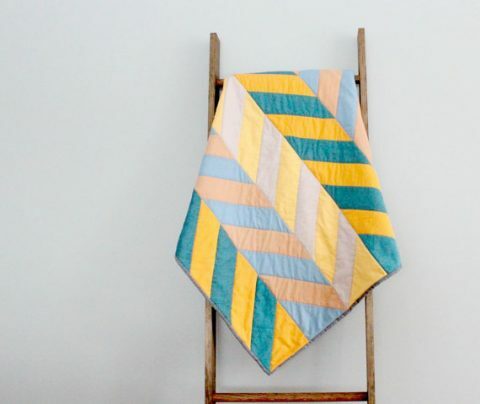 You can pull out many colors in the design to work with, and it will be easy to find solid color items to coordinate with this gorgeous sheet. 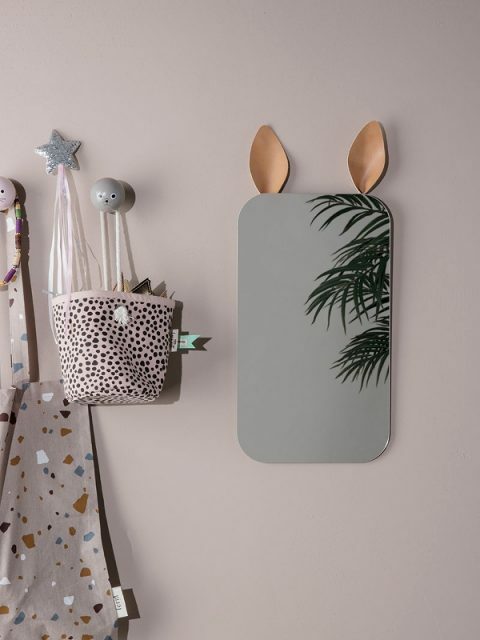 Think pastel rainbows and unicorns, and you’ll be on the right track! 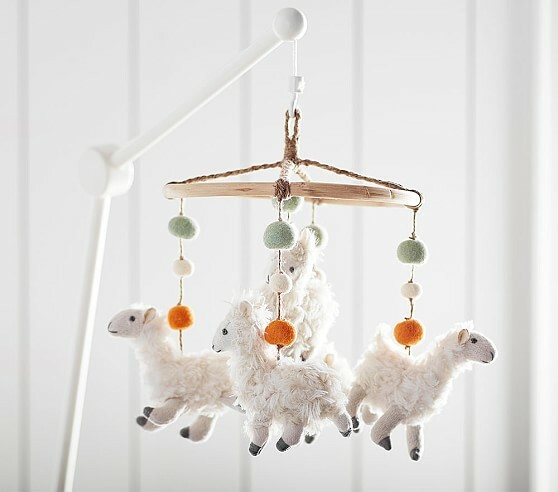 Email me if you want help incorporating these into your own nursery designs! 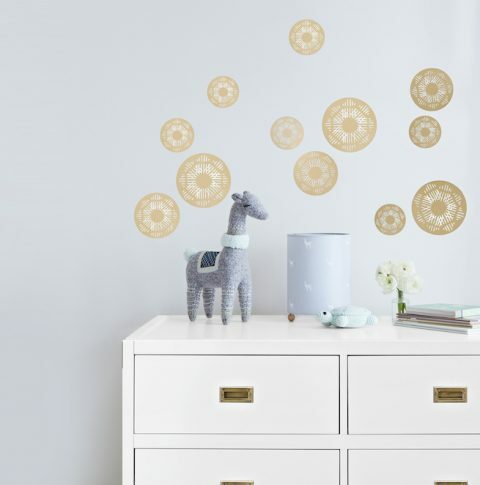 Social media is abuzz with excitement over Target’s latest nursery offerings from celebrity designer, Nate Berkus. 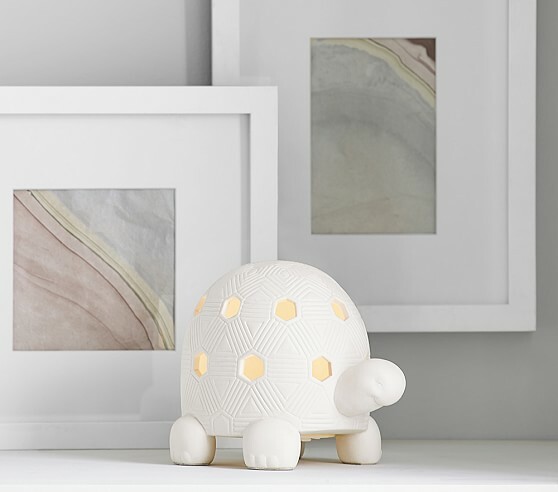 His home decor accessories have already been offered at Target for several years, but now, inspired by his daughter Poppy, this is the first time that we can enjoy a line specifically for the nursery. 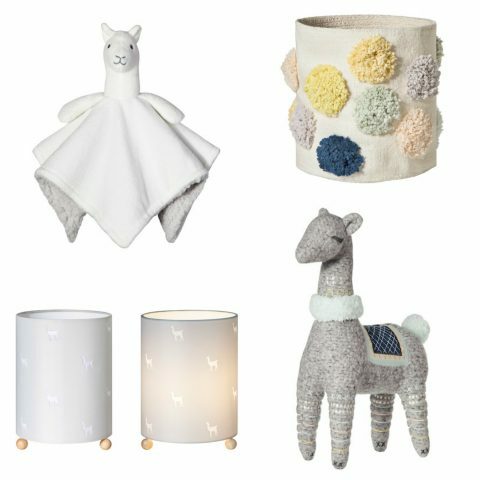 You can already find these items in stores or order them online at Target.com for delivery this week. 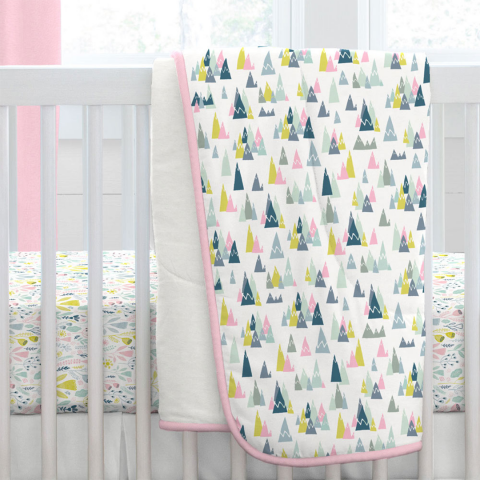 I’ve got Rachel Castle’s work all over my wish lists (and even on a wall at home), and now you can get her quirky, colorful style in the nursery with baby bedding pieces. 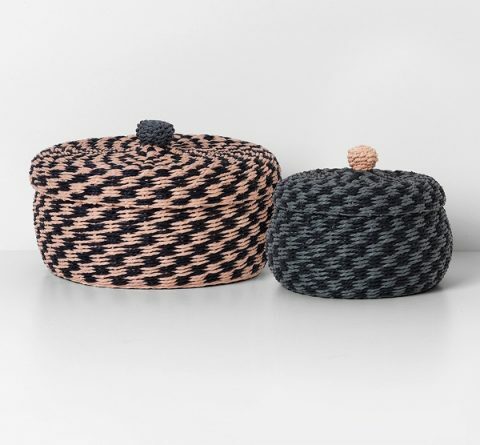 These are worth the shipping from Australia and I hope to order again soon! 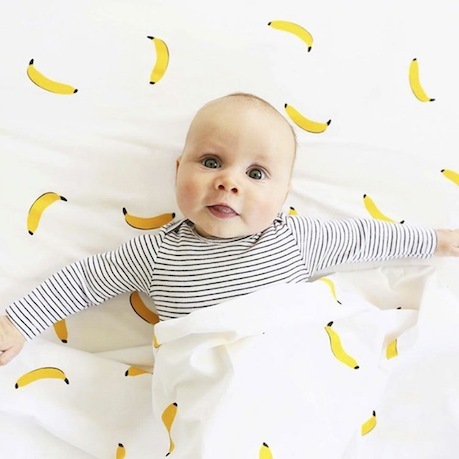 How about the Banana crib sheets? 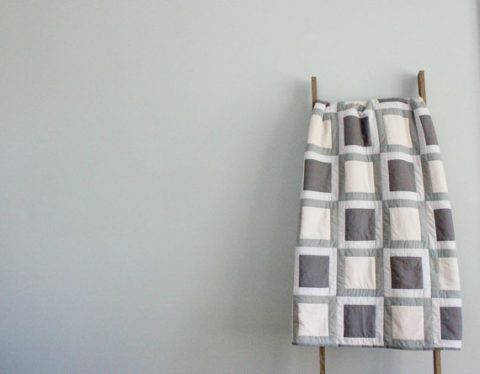 These come in flat and fitted. 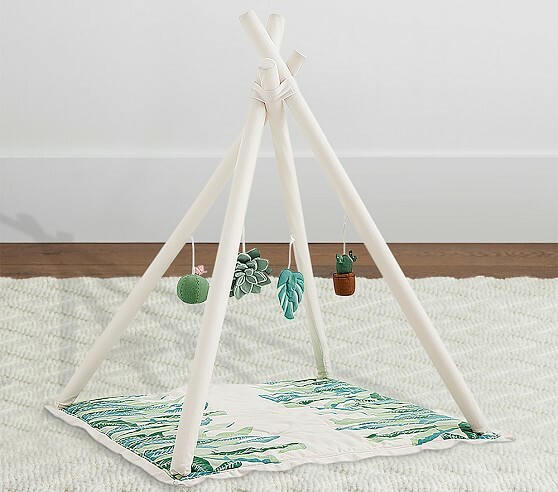 The Fern sheet is an incredibly unique new design. 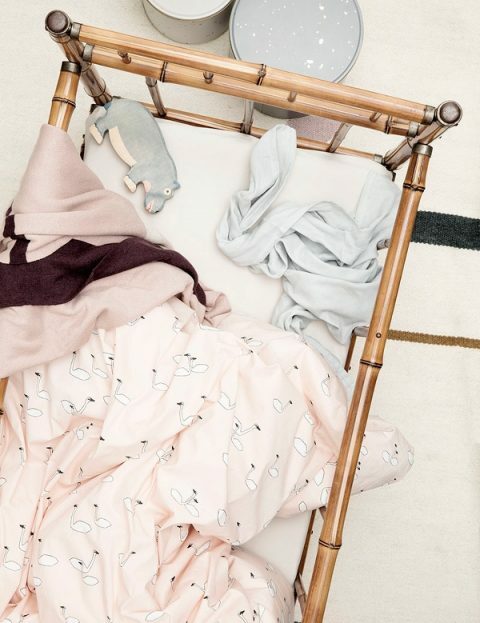 In the photo above the sheet is paired with the new Darling Cotton Knit Baby Throw, which is lovely enough be used as a wall hanging. 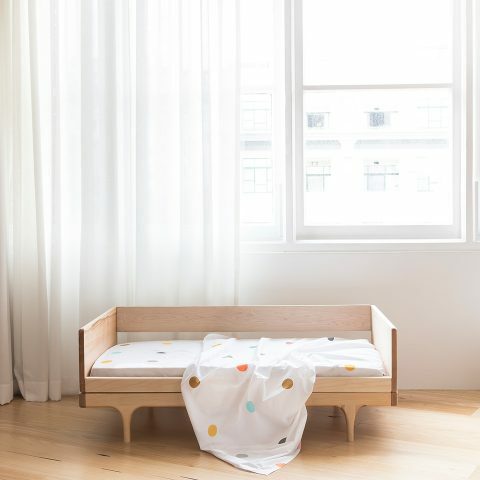 I’m also a big fan of the Multi Spot crib sheets. 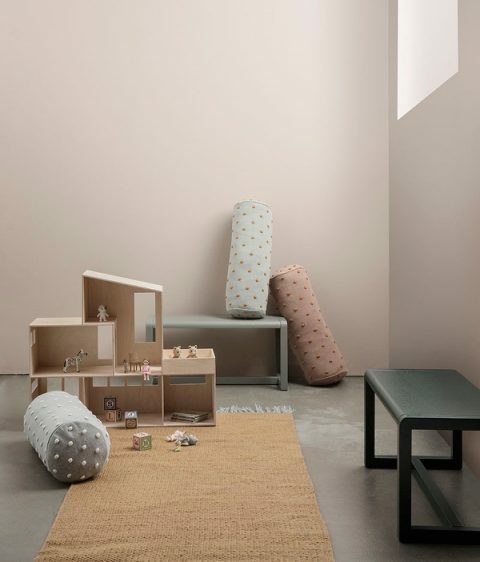 Throw the Darling Mini Cotton Knit Cushion Cover in the crib and you will have achieved the funky, modern nursery to suit your cool kid. 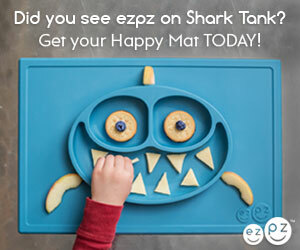 Don’t forget, prices are in Australian dollars, so the USD amount is a bit less for now! 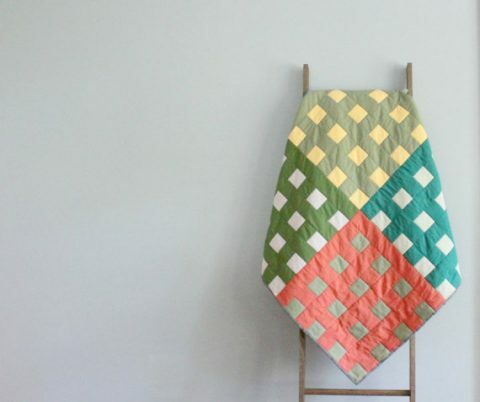 We’ve admired the work of Pippa Quilts in the past, but their beautiful modern quilts are as desirable as ever. 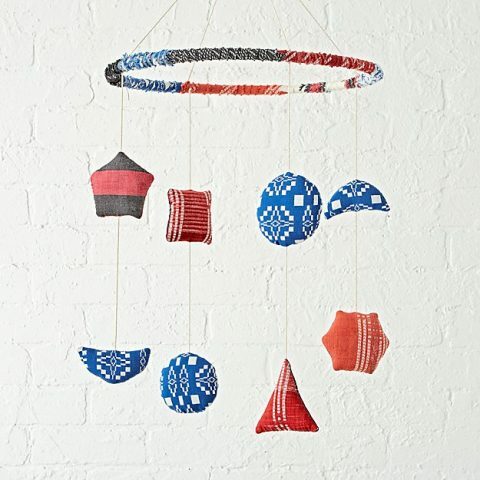 Pair these with coordinating solid or simple striped crib sheets and your modern crib is set. 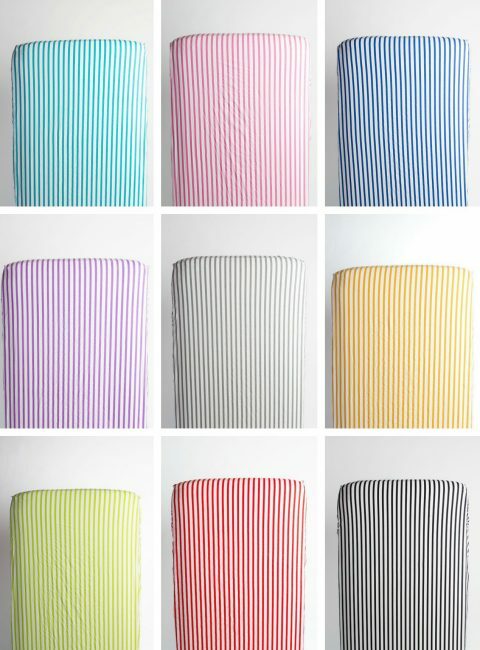 If you love the classic, colorful stripes that are part of June & January‘s signature look, you can bring it into the nursery with these soft cotton crib sheets ($37). 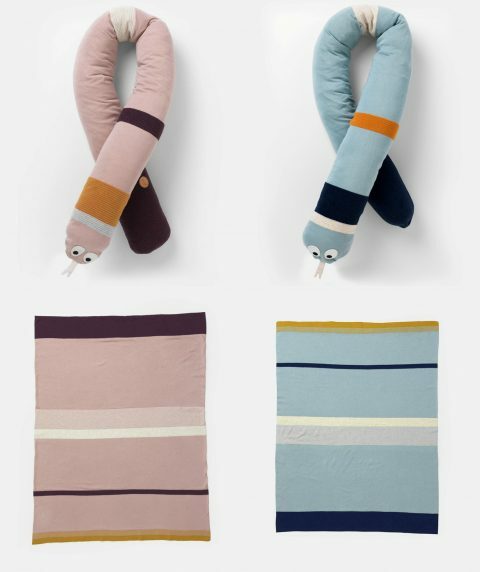 There are also matching changing pad covers for $19. 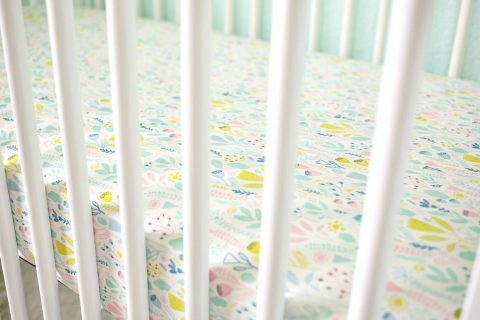 The crib sheets also come in two colors in the Ballot print. 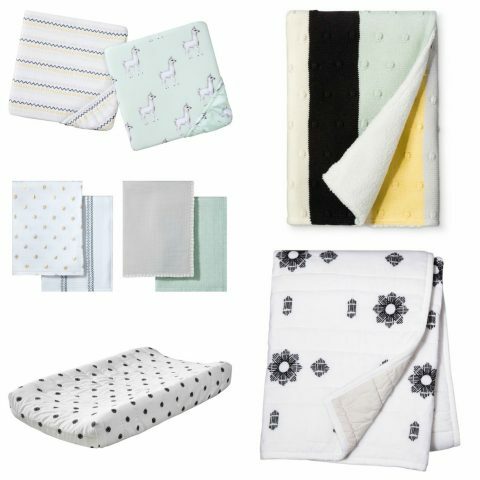 Mix and match the sheets with their Basic Blanket ($27). 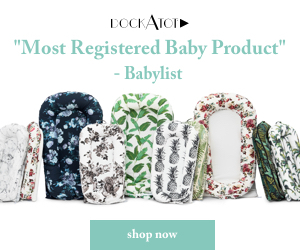 And of course you can dress the baby to match though I am not specifically recommending this… nor am I discouraging it… your call. 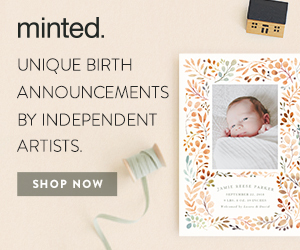 Also- send pictures!